Home / Motivation / What is procrastination and how to avoid it? This article is aimed at those who would like to learn what procrastination is and how to avoid it. I have already covered this topic is a previous post, 6 simple ways to beat procrastination, but I believe that it is a very important topic that deserves more attention. ‘Procrastination’ means to put off doing something you know you should or need to do. We can sometimes put off things that need to be done to a certain extent. All of us have said ‘I’ll do it later’ or ‘I will do this tomorrow’. However, some people have the habit to postpone things systematically and to such a degree that they have created a huge list of pending tasks, thus causing additional stress and pressure in their lives. What happens in these cases? What happens when procrastination affects negatively your everyday life, e.g. increases your anxiety, makes your job harder, causes unreliability in your relationships, and affects others around you? You may have the perception that those who successfully reach their goals (i.e. those people you think as successful) they succeeded without barriers, difficulties or doubts. So when things get difficult you may think – ‘what I do does not seem good, rather it is wrong, I better give up ‘. However, people who manage to meet their goals seem to know in advance that during their efforts, they will also find difficulties. So when you encounter obstacles, simply choose to continue the effort. Read my true story for inspiration. You may need to do some things that are boring or demanding and you don’t have the right mood. 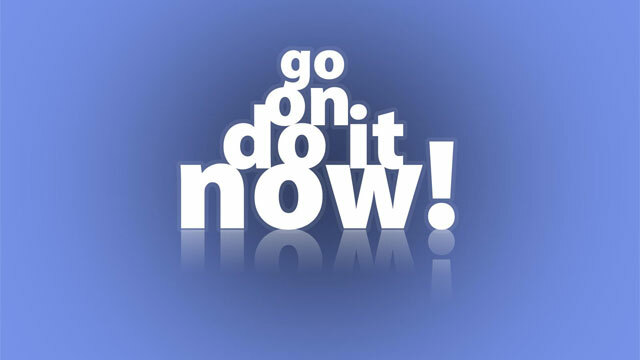 When will you have the desire to do something that you do not want? If, however you try harder and start working on them, then most likely you will begin to have a sense of fulfilment and everything becomes easier. You may leave things until the last minute and then say ‘I did not have enough time to do them better ‘. Usually, in this way you give yourself an excuse and protection from the possibility of failure. You may avoid having friends at home or calling them because you may feel rejected. Also, you may not feel very comfortable in the idea that others will get to know you better. Procrastination helps you to keep others at a safe emotional distance, allowing you to avoid expressing yourself to others. If you succeed, then you may worry of gaining more attention or that you may create more work for yourself. You may simply not consider very important what you need to do, so it does not even worth a try. Or you may consider it unpleasant and prefer to do something easier or more enjoyable. Sounds simple, but the way to do something, as long as you want to, is just do it! Just like swimming, to swim you need to get into the water, there is no way to swim without getting your feet wet. Put in your calendar the things you need to do or make a list of your pending tasks. For many this is a useful way to streamline and reduce their procrastination. Take small steps at a time. Break down the tasks that are time consuming and difficult into smaller and more manageable goals. This will help reduce stress, rather than having to do big steps at once, you can do many smaller steps toward the goal you want to accomplish. See also: How to set goals and achieve them. If what you have to do is too much, you do not necessarily have to do everything yourself. If you clearly ask for help, more likely there will be some people who would gladly like to help. This will also make your work more enjoyable. If before you do something you’ve already decided or ‘predict’ that will fail, if your expectations are so high that discourage you from trying, if you want all or nothing , then you may need to change such ways of thinking because they only thing they do is increase you procrastination. Maybe you believe that small steps are not worthy of recognition because they are not important. Maybe you learned to judge yourself (or others) with very stringent criteria or that reward or award is worth only for ‘large or difficult achievements.” Wrong! To reward yourself can be important as it enhances your confidence and make the process more enjoyable.